Over the last few years, the focus of math education has changed drastically at the elementary school level. Students used to spend a lot of time learning math facts and other basics, now children are diving deeper into mathematics at an earlier age. As a parent and teacher, I see a major difference in these automatic math skills from my oldest son to my younger son. At open house, my son’s teacher noted that they wanted kids to work at home on math fact fluency. They had also seen a decline in the ability of kids to just know the math facts in recent years. To help my second grader with this, we are using the online program that was suggested, but I wanted some more fun items to have on his tablet. Thanks to Verizon Educational Tools, I was able to search for just what I was looking for. 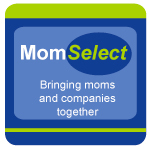 I selected two apps to try with JSL. One would work on math fact fluency and the other would practice with counting money. 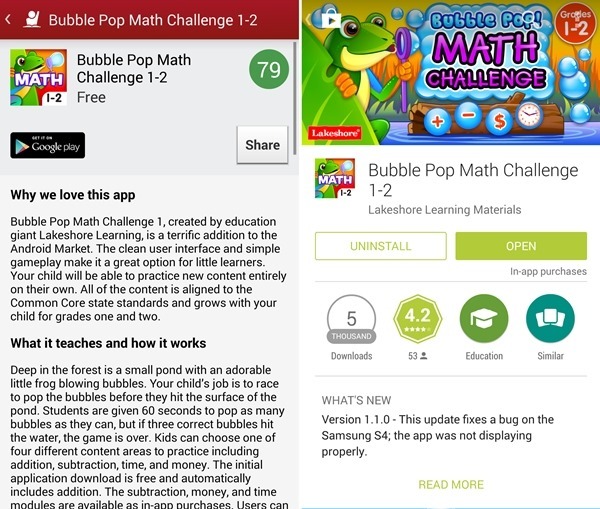 Bubble Pop Math Challenge 1-2 is a free app that you may pay to upgrade. 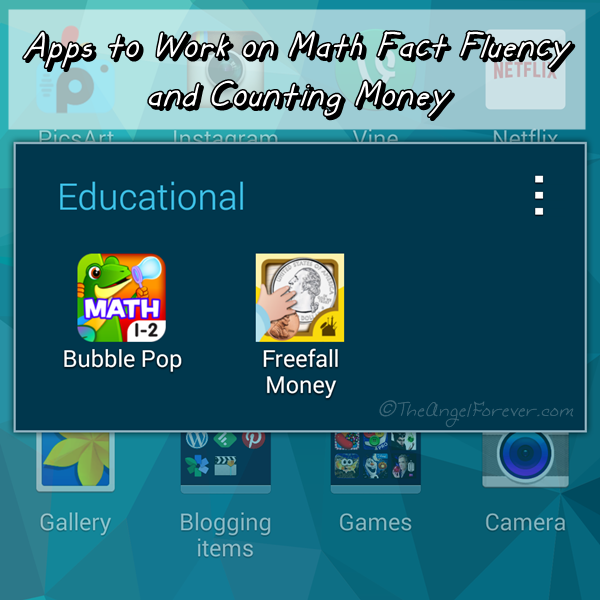 The app that you get free includes addition facts for sums up to 10 and sums to 20. After this, you can pay to unlock subtraction, money, and time categories for additional math skill practice. These additional bundles cost 99 cents each or you can get the three for $1.99. Tell and write time to the nearest five minutes using a.m. and p.m. There are eight levels of play for each area of the app. As kids move along they earn points and the pace continues to increase. So far, JSL has only tried the free portions of the game, but he likes it enough that we will probably spend the $1.99 to allow him to do more in the upcoming weeks. He really likes that you simply look at the math problem and pop the bubble as fast as you can to get points within 60 seconds. Your goal is to get as many points and keep bubbles from hitting the water where they pop. I appreciate the simplicity of this app. It does not make JSL anxious as he works on fluency of math facts. Some educational apps go too quickly, increase music volume, and can make even an adult nervous. The cute frog blowing bubbles that you need to pop while doing math is perfect to keep kids practicing over and over again. 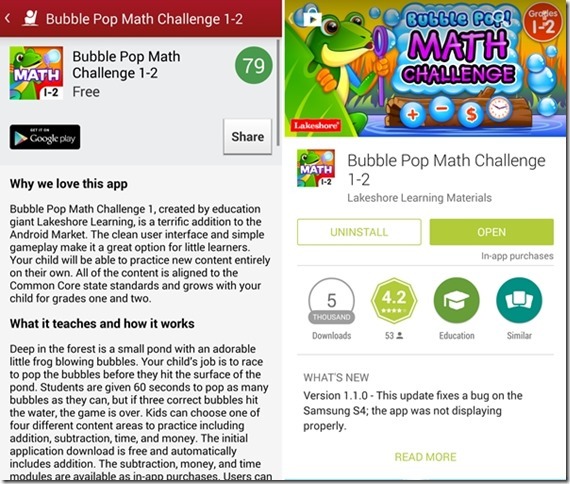 Another item to think about is that Bubble Pop Math Challenge 3-4 is also available and works with children on multiplication, division, rounding, and fractions. 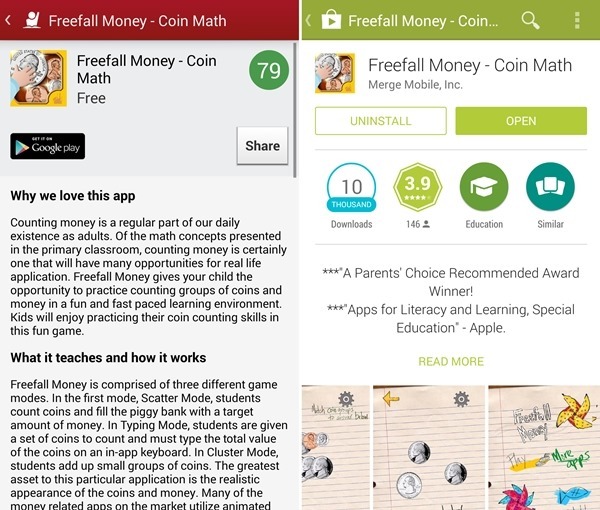 Freefall Money – Coin Math is a free app that is available to help children work on counting money. While JSL can count money, he needs a bit more practice. This seems to have been covered only a little in previous years, so I wanted to make sure that JSL could go shopping and count money on his own. The nice thing about Freefall Money is that you can adjust the settings. 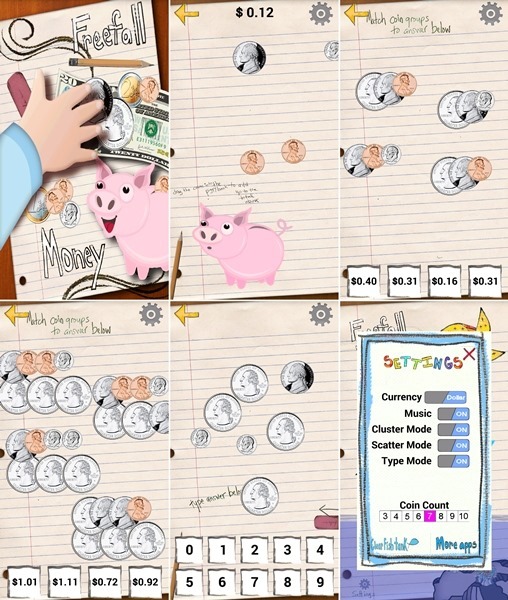 Kids can work their way up from problems using only three coins to ten. The coin illustrations are wonderful and do a great job for kids to recognize. If the coins are too close together, you are able to move them apart to make it easier to count the amount of money easier. 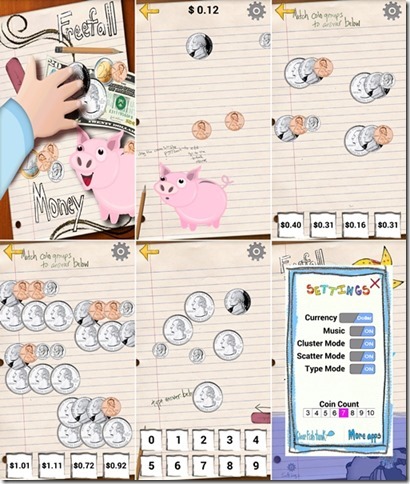 Kids can match coins to amounts, tell the amount, and fill the piggy bank with a specific amount of money. The level of difficulty can be adjusted from three to ten coins at a time. What apps have you used with your children to increase their math fluency and comfort levels? Please share any math level because kids of all ages can use practice to keep their skills in check. The key is to find something that your children like and does not seem like extra work, but is more fun while they learn. Disclosure: I am participating in a paid campaign about Verizon Educational Tools. 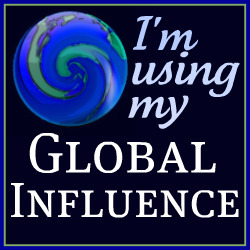 I will be sharing how I have used this with my family. I am a long time Verizon customer, and all opinions are my own. Great suggestions, TAF! Even though geared toward younger kids, I think it would be a good game for older kids. Too many kids today don’t have the opportunity to use cash and they get flustered and it causes anxiety for them. That’s not a good way to start your experience with money. And since it has that game feel it’s probably easier to get them to use it. Thanks for the suggestions.